Find Eatontown homes for sale and homes in Eatontown. Call 732-598-7700 to see homes in Eatontown. The homes in Eatontown are mostly single family detached homes. However, there are a few condos in town. The price range for Eatontown homes for sale begin around $100,000, however they can go as high as $1 Million. Eatontown is home to the Eatontown Mall, This is a regional mall which has a large variety of stores in addition to restaurants. Fort Monmouth is no longer an active military base and it’s being redeveloped as a mixed use project. It will be residential housing, retail and light manufacturing. Routes 35 and 36 meet in the center of Eatontown. The Garden State Parkway and Route 18 are also nearby. The Atlantic Ocean is a short drive away. 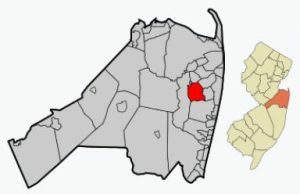 The 2010 Census says the population of Eatontown was 12,709. There were 5,319 households, and the median household income was reported to be $53,833. The Eatontown School District educates children in grades K-8. There are three elementary schools and one middle school. When students from homes in Eatontown enter high school they will attend Monmouth Regional. Also, there are private schools in the immediate area. Some students, when they enter high school may also apply to one of the five high schools in the Monmouth County Vocational School District. Specialized courses are available in fields such as computer science, and biotechnology. Also available are courses in the medical and science fields, among others. Nearby is shopping and fine dining. and live entertainment is nearby. Also, you ca visit exciting Pier Village in Long Branch. Many people enjoy it here because of the thoroughbred horse racing in Monmouth Park Race Track in Oceanport. Enjoy live theater and music in Red Bank or Holmdel. Or go fishing, boating or golfing in the area. Call 732-598-7700 today to see Eatontown homes for sale or homes in Eatontown.